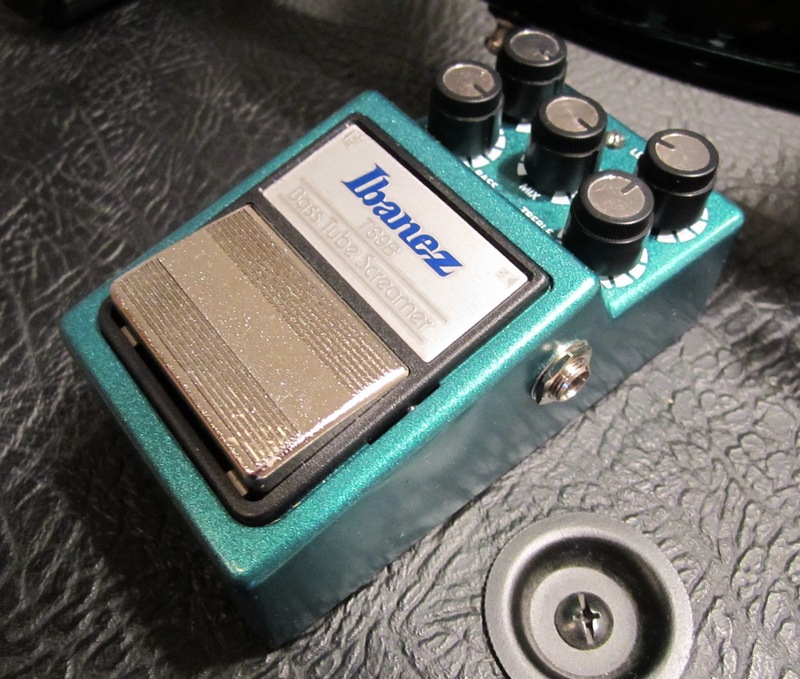 For anyone just showing up to Bass Bottom Feeder for the first time, the original intent of this blog was to document the assembly a (fairly) cheap and effective pedal board for bass. The jumping off point for this exercise was a great article in Bass Player written by Bryan Beller over a year ago. I have added it to the link bar on the right for easy reference. I basically followed his suggestions regarding effects type and order because he is a consummate professional, and I am not. So here is the state of my pedal board in its first iteration, using the pedal board primer as my guide. I have eight pedals at the moment, so I'll cover the first four in this post. The Primer recommends a volume pedal with a tuner input to facilitate silent tuning on stage. The Korg lets you tune silently because it mutes your signal when you turn it on. 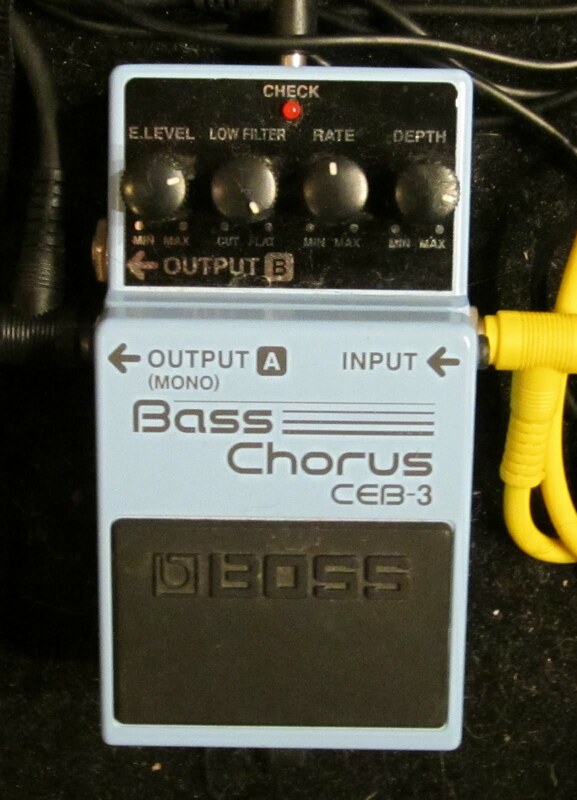 I have a volume pedal later in the chain in the form of the BP80 multi-effect. Mr. Beller has an octave pedal in the #2 slot, followed by an overdrive in slot #3. I don't have a dedicated octave effect, so I went right to the overdrive. 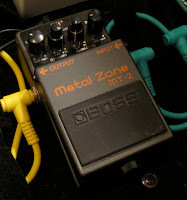 The Tube Screamer has been serving me well, but now that I have a better sense of what each effect type brings to the table, I have a better idea of what I might be looking for in terms of specific sounds. Overdrives are my favorite effect for bass, and there are lots of them to explore. 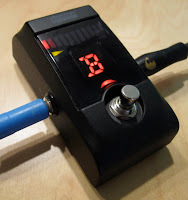 For me, the overdrive is really the foundation of my sound. Everything else is just enhancement/manipulation of that basic tone. Distortion is next in line. The MT-2 is a guitar effect, but it has a pretty cool fuzzed-out sound coming through on a bass, especially when you juice up your signal with the overdrive first. I like its overall sound, but it really kills the attack when you're down low. Save it for big open notes, or when you are higher up on the neck. I have the chorus in slot four instead of another distortion effect. I like chorus. It adds a lot of depth without being all in your face. Probably my most commonly used pedal after the overdrive. Definitely has a better presence when it is used in conjunction with the Tube Screamer. I'll do the back four some time soon. I suppose a demo video might be in order. I'll see what I can come up with.